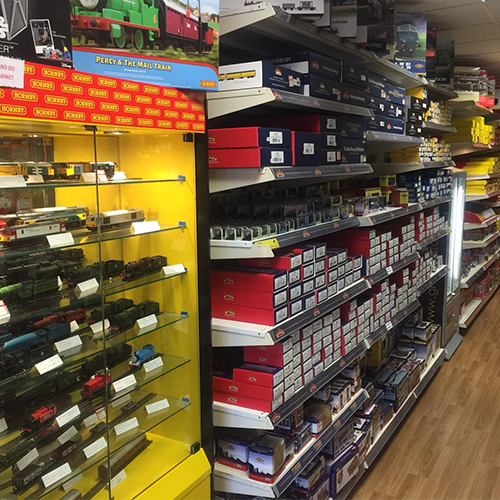 In store you will find a comprehensive range of model railway items. From the complete beginner to the avid collector of any age. Hornby, Bachmann, Graham Farish, Peco, Gaugemaster, Proses, Metcalfe Kits, Ratio, Woodland Scenics, Wills, Javis Scenics etc. Loco’s, Coaches, Rolling stock, Track, Controllers, Scatters, Ballasting tools and Materials, Signals and lots more.